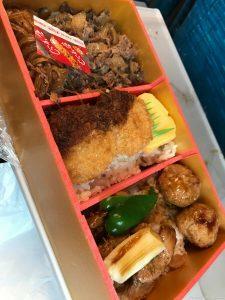 Home›Japan Destinations›Trains in Japan - Easier than you think! 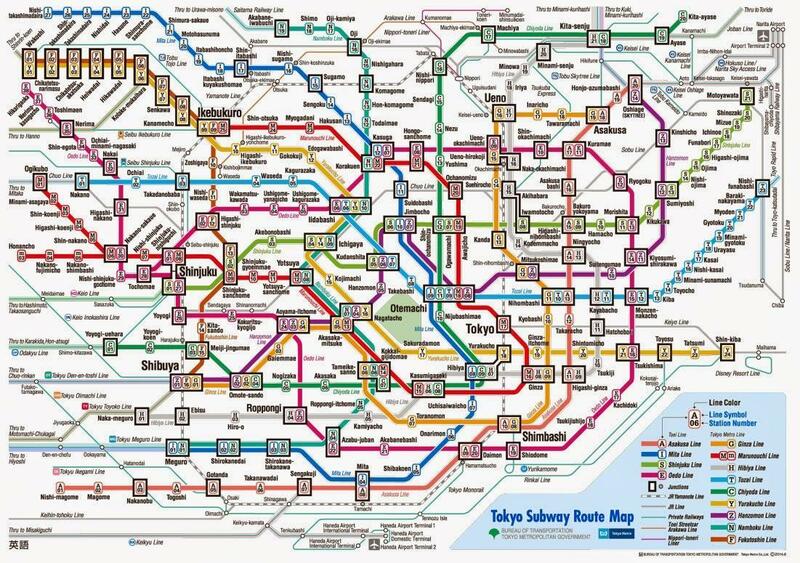 Above is a train map of the City of Tokyo. As daunting as this seems, taking trains to anywhere in Tokyo is rather easier than you'd imagine. They operate on time, and local trains are as much as 5 minutes apart all day long. Almost every major city in Japan is built around train stations, which means trains will take you to walking distance of almost anywhere in Tokyo. The Basics. The Local Train. Each city normally has a train that loop around the city. And a bunch of others that spur out of the city toward a suburb, and a main station connecting the Shinkansen or other high speed transit express "Limited" trains that whisk you to another city. It loops around the city of Tokyo Metro Area, and it will be your main Go-To train for 90% of what you'd be doing in Tokyo. From Akihabara the Anime Capital, to Shinjuku street foods, to Shibuya Shopping, Aoyama for classy cafes, and the Main terminal Tokyo Station. Each of these and many more are along this loop. There is a prepaid access card you can buy from any vending machine at a train station, called either PASMO or SUICA which operate seamlessly for almost 99% of the local trains in Japan, with an added bonus of you being able to often use them in vending machines for a quick drink or a convenience store to get an umbrella for a sudden encounter of rain. It's the best thing in the world. If you happened to land in another city like Osaka or Nagoya, these cards will have a different name of the issuing entity, but they are also seamless on most trains throughout Japan. The card dispenser takes cash, and you can load them up with cash, and use it instead for faster access to trains. I typically budget about $10 a day on these cards, and keep them with me. 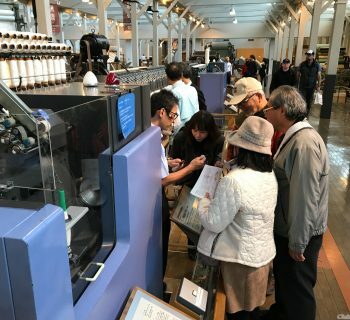 You can recharge them at any station on the same machines or at a convenience store as well. A typical local ride takes about Y100~300 ($1~3) to circle the city and get off at any point and back. Having said this it is much more convenient to stay in hotels near a station obviously. When getting on a train, you just walk up to the electronic gate at the station, and place your card on a sensor pad, and do the same when you get off. 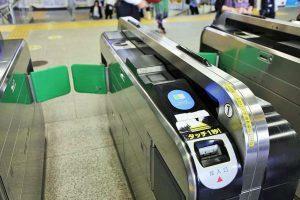 It will automatically calculate the fare and deduct the fare instantly. The gate will flash the remaining balance, or you can check them in any machine or store that takes them. Also, even a drink vending machine will show this too, if you flash the card on it, without making a selection. 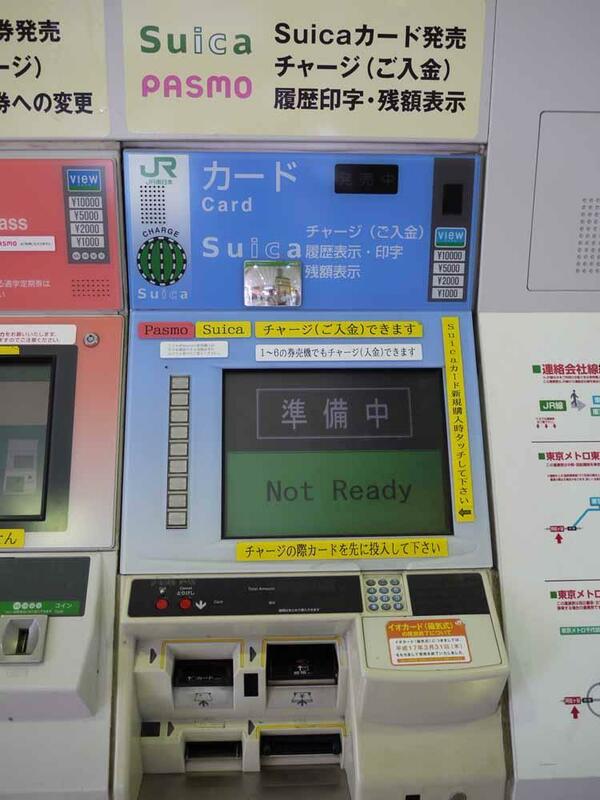 A Suica Card dispensing machine, to use to buy and recharge a prepaid train card. Electronic Gate where you go through to pay with Suica, Pasmo, or other train fare card. Also valid for city bus and a few stores too. 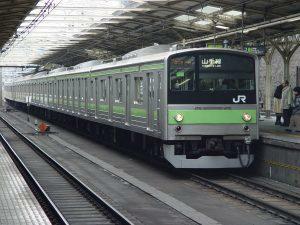 The Yamanote Line, which loops around the metropolitan Tokyo. So there you go with local trains. EVERYTHING almost in Tokyo is a walking distance from a train, and parking is SEVERELY limited and super expensive, as are tolls, gas, and other services in Tokyo, so just take the train. Taxi is a choice for when you can spare a $20, and you just had enough of crowded trains or bought way too much to carry to the hotel. Remember most train stations are also equipped with coin lockers to lock up a suit case, or whatever you bought so don't try to carry too much stuff! You can use a SUICA / PASMO for the lockers as well. They are about Y400~700 ($4~7) a day to use. Needless to say, you need to do a little pre-planning on a map before you set out into the city for the day to spend it efficiently, but once you get the hang of it in a day or two, you will be accomplishing many things right on time, all day long as there is no such thing as traffic delays with Japanese trains. These days GOOGLE MAPS is your best friend, as it works in Japan right on your smartphone, and can actually show you which train to take, and where to get on and off!! 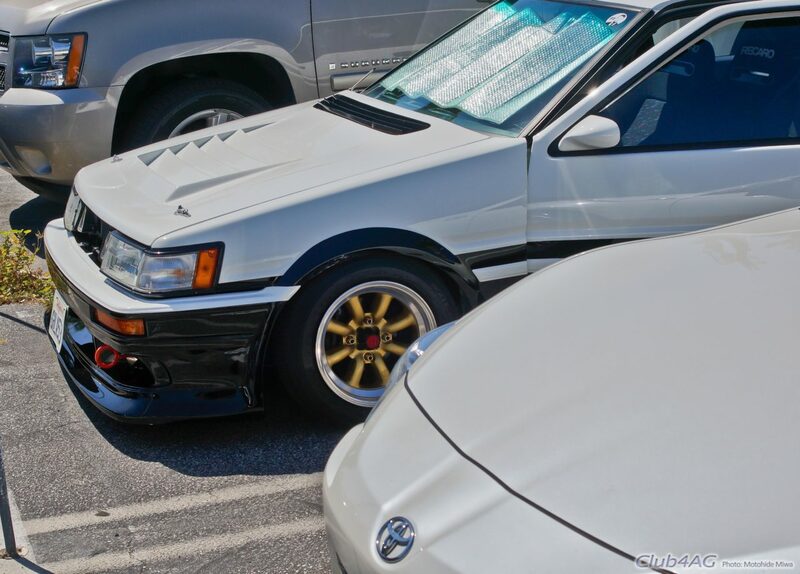 Amazing tool! Beware again, Cell Phone Roaming abroad can be super expensive if you didn't sign up for a plan before you leave your country. Easiest option is to call your cell carrier in your home country before you leave, and set up a international roaming plan. If your cell carrier is too confusing, you can set your smartphone to use Wifi only, and rent a "pocket wifi" routers to use in Japan. 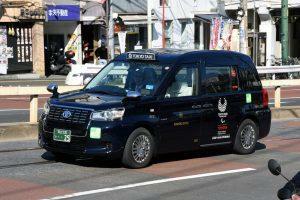 These can be rented for about $10 a day at the airport when you arrive, or even rented in the USA before you leave. Either way, because you WILL NEED GOOGLE MAPS in Japan to figure out the trains, you need a cellular connection! 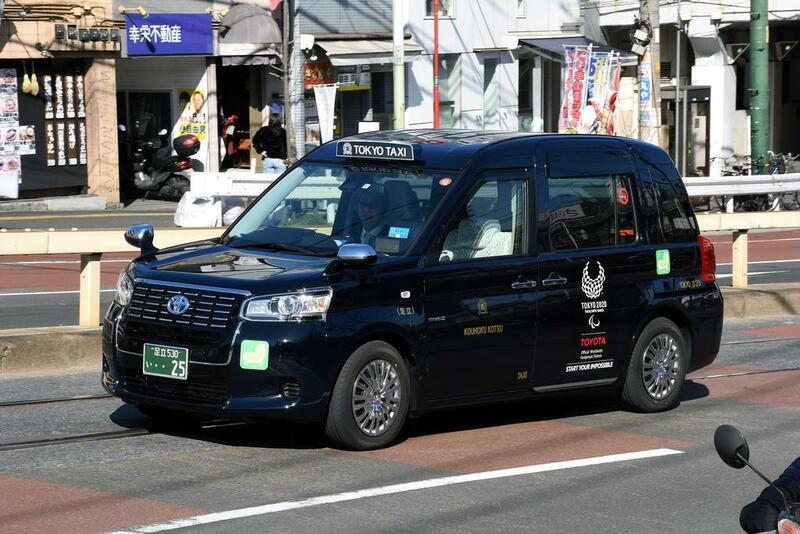 Many of the taxicabs are being replaced with these JPN TAXI as we speak in preparation for the Tokyo Olympics 2020. 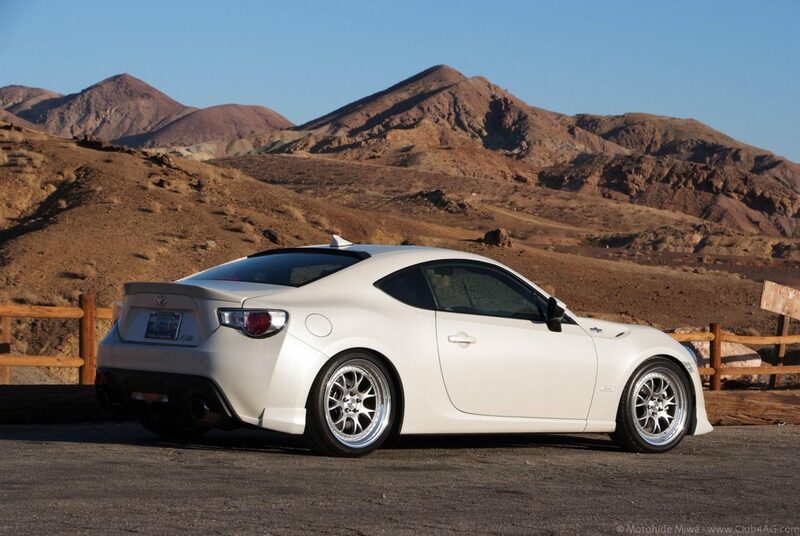 These are spacious cars and are great if you want to spend the cash for the convenience. Beware though, taxicabs are not immune from traffic jams in Tokyo, so if you have an important business meeting, just take the train. OK! 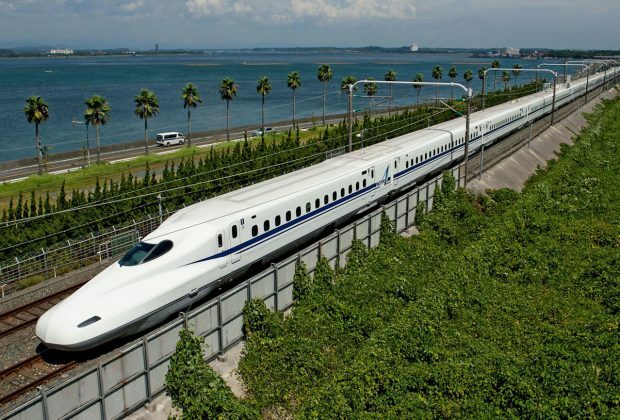 SO What about the High Speed Trains? 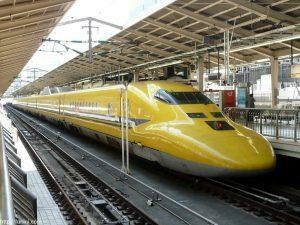 OK so High Speed Rail like the Shinkansen will take you to other cities at speeds of up to 320km/h. 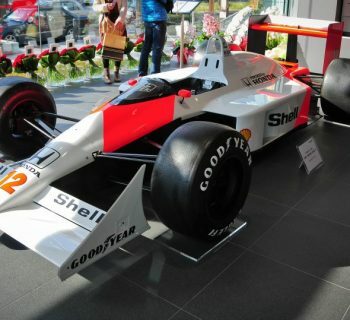 That's around 200mph for you Americanos. They are somewhat pricey but the advantage of taking these is that it will connect you to center of the city, to local trains on either end. Unlike airliners which drops you off far outside of most cities, and cost you another hour to get in and out of a city. Shinkansen trains operate about every 5~10 minutes between Tokyo and outer cities to far corners of the islands. It really is an amazing system that runs literally to the accuracy of the second hand of the clock. 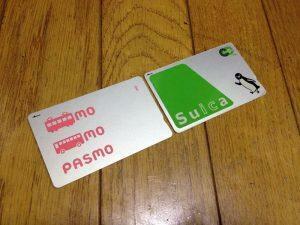 You can't really use your PASMO SUICA on these as the fares are typically more than you'd want to charge on a prepaid. A city about 1 hour away is about $50 one way, and goes on and on. It's super comfortable too. It connects to Osaka in under 3 hours, and Nagoya in about 1.5 hours. 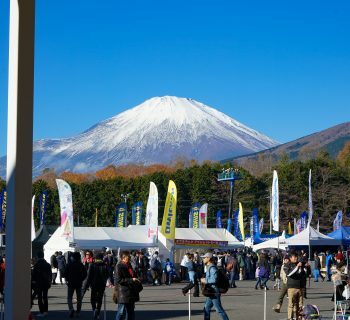 Mt.Fuji vicinity is about 1 hour with these, and from there you can take a bus or local train to Gotemba City, which is a 10 minute taxi ride to Fuji Speedway. For people who are going to travel within Japan for week or more, and will speed through many cities, it can be more economical to use a "JAPAN RAIL PASS" which are sold to foreigners only, and is a fixed price week long ticket that can be used all over Japan. One caveat for these is you need to use a JR operated train, and you can't take any of the fast non-stop Shinkansen labeled Nozomi or Mizuho. The other half of them are called Kodama or Hikari, which stop at more stations, but are super quick too. You can Google search on the topic JR RAIL PASS and find more on this, so I won't elaborate here. Express Limited Trains are often reserved seats only, and you should book your tickets a day before at any train stations for these a day or two in advance. If you plan things right, you will know which station you need to leave out of (again Google Map it) and buy a Limited Express ticket with reserved seating while you shop and eat the day before your big departure. 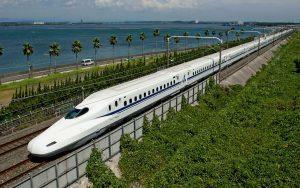 Haneda airport is serviced by trains, or bus from most major stations in Tokyo. Narita Airport is serviced from Tokyo by one of two express trains, the Narita Express (N'EX") or Skyliner depending on where in Tokyo you need to go. Shinkansen N700 blasting between Hakata and Tokyo is the fastest of the trains, and you'd take this from Tokyo out bound to cities of Mt. Fuji area, Nagoya, Kyoto, Osaka, Kobe, Hiroshima, and Fukuoka. If you are lucky, you might see a yellow Shinkansen. These are not passenger trains but periodic systems diagnostics train sets, and the train is affectionately called "Dr.Yellow"
I'll add to this if I think of more to elaborate, but you can digest this for now.